If you are looking for a real estate professional who values her relationship with you and not just the transaction thenplease call Melissa Francis for all your real estate needs! In Melissa Francis’ past career, prior to real estate, she earned her Social Service Worker Diploma and her Bachelor’s Degree in Social Work (with Honours) from Ryerson University. She then spent several years working primarily with women dealing with a variety of socio-economic issues. After staying home for several years after she became a mom Melissa then decided to pursue a new career, so she studied hard through the Ontario Real Estate College, received her real estate license in 2010 and has never looked back! Melissa’s social work training and experience has helped prepare her for her career in real estate and has shaped the way in which she works with all her clients. Melissa’s success in her business can be attributed to her genuine need to work honestly and ethically with her clients, her ability to treat all clients equally, the way in which she values each client’s individual needs, her strong networking and research skills, and her in-depth knowledge of the real estate market. Melissa’s natural tendency to remain true to her empathic nature allows her to understand and relate to the importance of her client’s home buying and/or selling experiences for them and their families. Melissa’s primary goal during and after the real estate transaction is always to provide a high level of service so that all of her client’s feel satisfied, knowledgeable, and confident with the real estate process and their purchase and/or sale decisions. 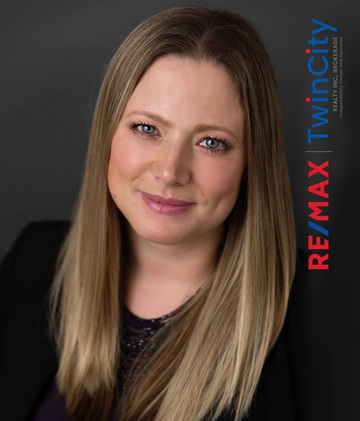 Since joining RE/MAX Twin City Realty Inc., Brokerage in 2011 Melissa has successfully merged with the #1 Real Estate Brand in the world to help her clients buy and sell more property and for the best price possible. Melissa's business grows every year and she continues to earn yearly awards for Outstanding Sales Achievement including the 100% Club Award and the Executive Club Award. Melissa has also continued learning and updating her Real Estate skills though ongoing professional development, professional education courses, and has earned several designations to serve her clients better such as qualifying as a Certified Negotiation Expert. Social Service Worker Diploma - 2003 (Centennial College). Cambridge, Kitchener-Waterloo, Guelph and Surrounding Areas.